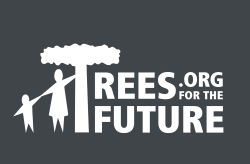 Digital Reflection, a Comscore company, has partnered with Trees for the Future to plant 50,000 trees each month on behalf of members of our research communities. By taking just a couple of minutes to complete the Digital Reflection registration process, you will be contributing to the future of the Internet and the future of our environment! Since 2008, we have given over 18 million trees to be part of forest gardens and farms all over the world. A forest garden is a tiered approach that Trees for the Future uses to help communities earn income by planting a variety of trees, shrubs, and crops and then train local families to farm and tend to them. The 18 millions trees planted so far is the equivalent of 4,500 forest gardens and helps employ 1.35 million farmers. At least 30% of the farmers are women. By continuing your active membership in Digital Reflection you empower people all over the world.